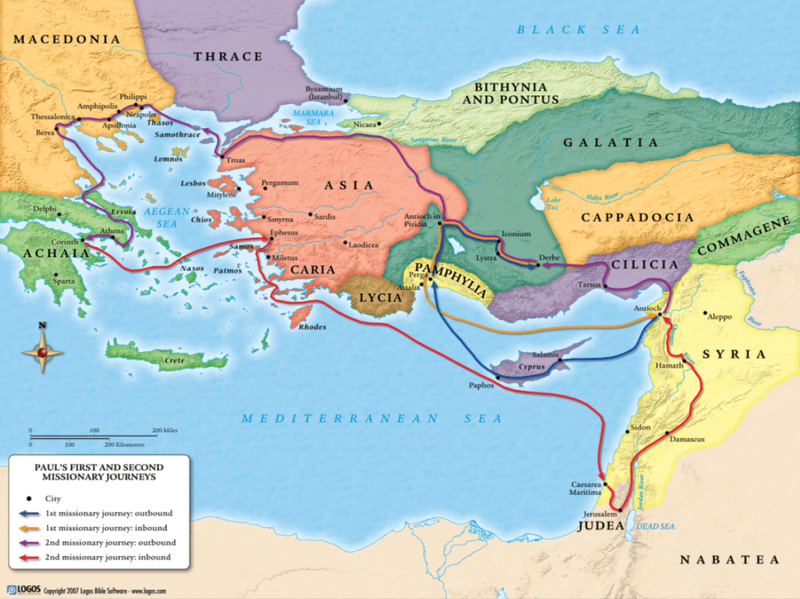 The city of Thessalonica was founded in 315 BC and it quickly became the chief port city in Macedonia as it was along the important Via Egnatia, which connected Rome with its colonies to the east. 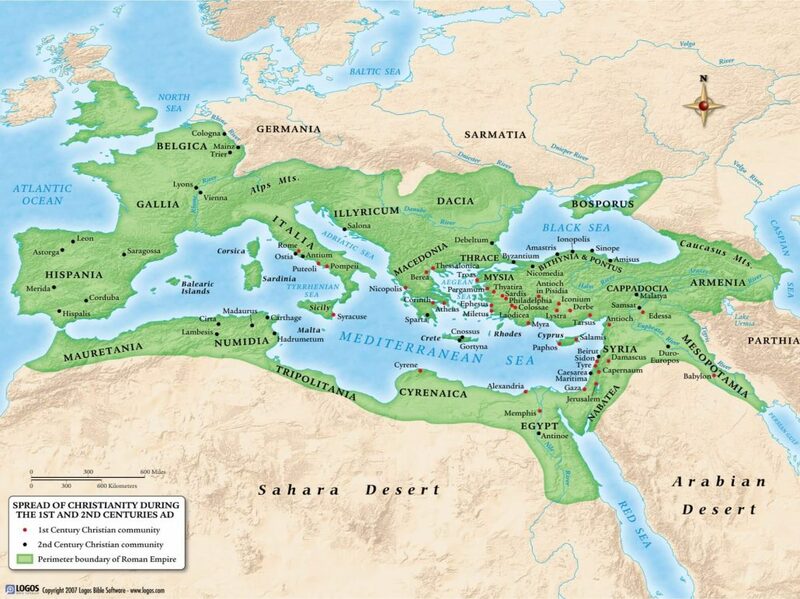 The Romans eventually made it the capital of the Greek provinces. At Paul’s time it is believed to have been a city of considerable population, and today it has a population of more than 300,000. Paul first came to Thessalonica during his Second Missionary Journey. According to his custom, Paul preached about Jesus in the Jewish synagogue in Thessalonica, converting a number of Jews and even a number of Gentiles (non-Jews). However, as often happened to Paul, some Jews opposed him and spread false charges against him and his followers, especially a prominent believer named Jason. Paul and Silas were then forced to flee to Berea (Acts 17:1-10). The early church unanimously attributes this letter to the apostle Paul. It was included in the canons of Marcion (approxiamtely 140 AD) and Muratori (approximately 175 AD), and Irenaeus (approximately 180 AD) quotes it by name. By the time of Tertullian and Clement of Alexander (approximately 200 AD) it is acknowledged as being written by Paul. It is also included in the Old Latin and Old Syriac versions of the New Testament that are dated to the 4th century AD. First Thessalonians is probably the second of Paul’s epistles (letters), written after Galatians. 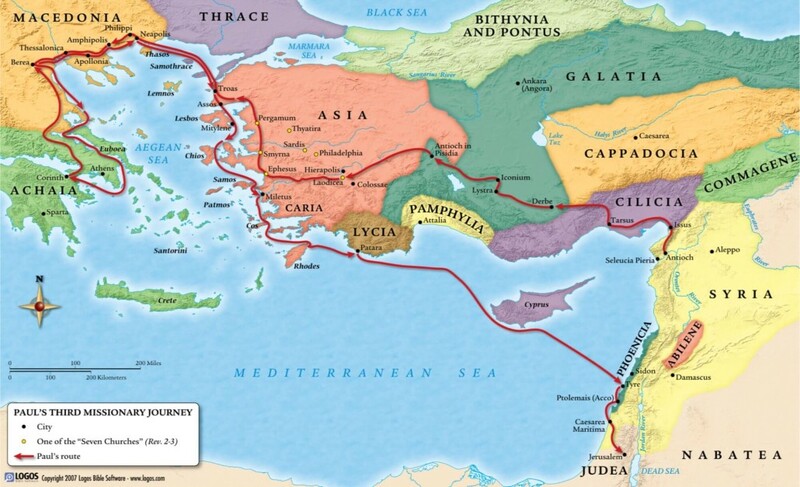 It was almost assuredly written from Corinth while Paul was still conducting his Second Missionary Journey. This is because there was most likely not enough time for Timothy (and Silas?) to get back to Athens, where Paul’s stay was relatively short (Acts 17:15-34). It also seems that it could not be after Paul’s Second Missionary Journey since Silas is not mentioned after the Second Journey (See 1 Thessalonians 1:1 and 2 Thessalonians 1:1). Since Acts 18:12 implies that Gallio became pro-consul after Paul had been working in Corinth and since Gallio, according to an inscription at Delphi, was proconsul of Corinth in approximately 51-52 AD, it seems that the letter can be dated to approximately 50-51 AD. This would put the writing of 1 Thessalonians near the beginning of Paul’s one and a half years in Corinth (see the introductory information on 1 Corinthians and 2 Corinthians). Paul had wanted to revisit Thessalonica because he was concerned about the Thessalonian Christians holding up under persecution, but he was prevented from doing so (1 Thessalonians 2:18). So in his place he sent Timothy from Athens to strengthen and encourage them (1 Thessalonians 3:1-3). He possibly also sent Silas (Acts 18:5). While Paul was in Corinth, he received a report from Timothy about the situation in Thessalonica. Thus the letter is essentially a response to Timothy’s report. Timothy returned to Paul with the good news that the Thessalonians were holding up well under the persecution (1 Thessalonians 3:6). But apparently Timothy also spoke of some problems in the church that needed to be addressed (1 Thessalonians 3:10), such as Paul’s integrity being attacked, the Thessalonian Christians experiencing lapses in sanctification, and confusion in regard to Christ’s second coming and the resurrection. So Paul writes this letter to give thanks for the continuing faith, love and hope of the Thessalonians (1 Thessalonians 1:2-3), to defend his apostleship against attacks on his integrity (1 Thessalonians 2:2-6), and to give some specific instructions in the areas of Christian life and doctrine where confusion and weakness existed, for example immorality (1 Thessalonians 4:3-8), idleness (1 Thessalonians 4:11-12; 5:14), and the End Times (1 Thessalonians 4:13-5:11).